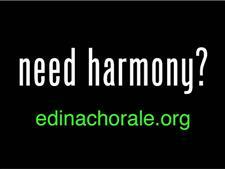 Do you "need harmony"? In the midst of the yard sign frenzy, you might need a bit of fun. 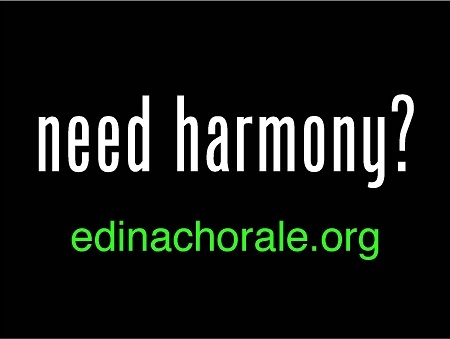 If you are a friend of the Edina Chorale, and would be willing to place a yard sign in your yard a few times a year, please e-mail us at contact@edinachorale.org. Include your name, street address, phone number and e-mail address. We will deliver the sign to your address at no charge to you. A $5 donation is requested to cover the cost of the sign.